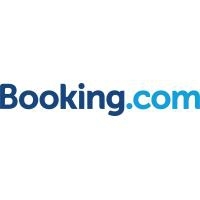 Booking.com, part of Priceline.com (Nasdaq: PCLN), owns and operates Booking.com™, the world leader in booking accommodations online. Each day, over 550,000 room nights are reserved on Booking.com. The Booking.com website and apps attract visitors from both the leisure and business sectors worldwide. Established in 1996, Booking.com B.V. guarantees the best prices for any type of property, from small, family-run bed and breakfasts to executive apartments and five-star luxury suites. Truly international, Booking.com is available in more than 40 languages, and offers over 422,266 properties in 193 countries. We are truly global with over 120 offices worldwide. Our employees love having the opportunity to create an even better Booking.com experience for our customers and property partners. We work hard, but play harder.